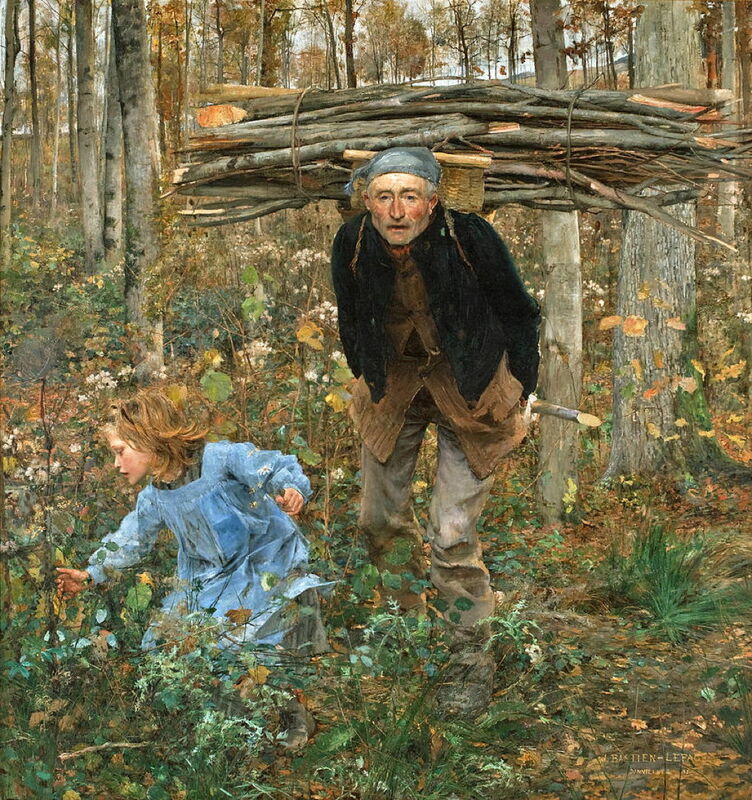 Jules Bastien-Lepage (1848–1884), The Wood Gatherer (Father Jacques) (1881), oil on canvas, 199 x 181 cm, Milwaukee Art Museum, Milwaukee, WI. Wikimedia Commons. Studies of Naturalism, Realism, or Social Realism differ in their definitions, the period during which it flourished, artists and even countries involved, and more. 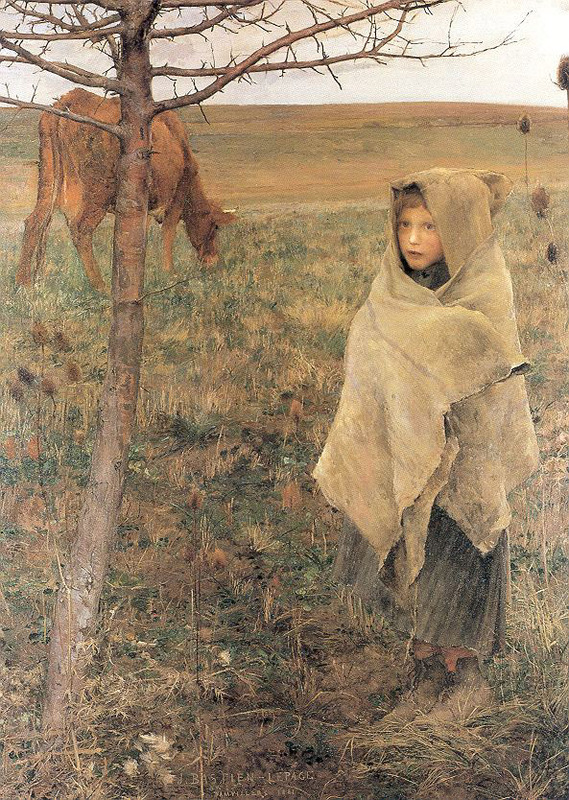 But there is one painter whose work is generally agreed to have dominated Naturalism, at least until his sudden and premature death in 1884: Jules Bastien-Lepage. I have previously written about his work and career in more general terms. This article and the next look in more detail at those paintings which led up to and formed his high Naturalism in the years 1880-83, in which he was the avatar of Naturalism (Richard Thomson). Important precursors to Naturalism were the realist paintings of the rural poor by Millet and Breton, the realism of Gustave Courbet, and Gustave Doré’s perceptive insights into city life, particularly in his book London: A Pilgrimage (1872). What had previously been viewed as genre painting now took on social concerns. Bastien-Lepage was born and brought up amid the rural poor of the north-east of France, in Damvillers, an area which was to be invaded by Prussian forces in the Franco-Prussian War in 1870, and ravaged during the First World War. He first intended to become a history painter, but was twice deprived of the Prix de Rome, and turned to portraiture and rural genre scenes. 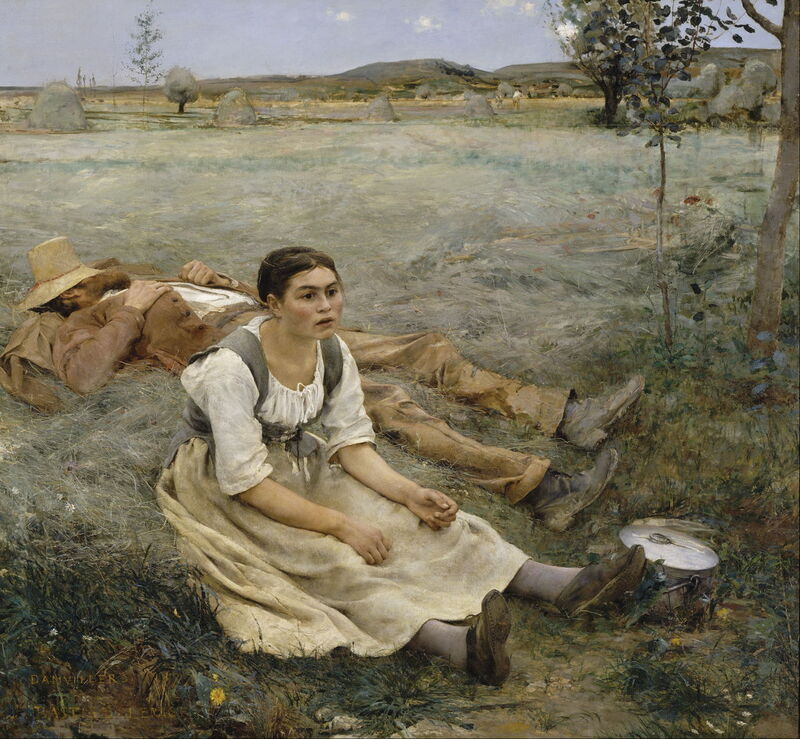 Jules Bastien-Lepage (1848–1884), Les Foins (Haymakers) (1877), oil on canvas, 160 x 195 cm, Musée d’Orsay, Paris. Wikimedia Commons. Bastien-Lepage returned to the Salon in 1878 with Les Foins (Haymakers or Hay making) (1877). It provoked debate over what was considered to be its harsh portrayal of life and work in the country. It was also a pioneer composition for Bastien-Lepage, with its high horizon and fine detail in the foreground. Together these give the visual impression that the whole canvas is meticulously realist, although in fact much of its surface consists of visible brushstrokes and other more painterly forms. At the same time, its deep recession and broad inclusion of land gives it the illusion of a very wide-angle panorama, which enhances the exhaustion and desolation of its figures. 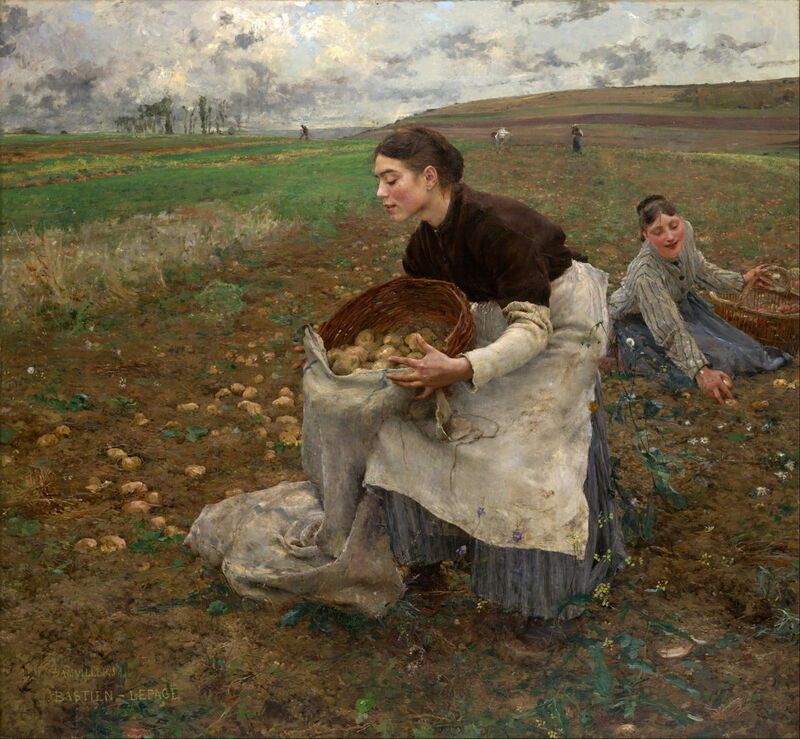 The following year, Bastien-Lepage returned with what is now sometimes known as October or Potato Gatherers (1878), but was originally shown as Saison d’Octobre: Récolte des Pommes de Terre. He employed the same compositional scheme: high horizon, fine foreground detail, deep recession (here enhanced by the distant figures), and broad land. This time, though, his rural poor are smiling and happy in their labour, and it was a huge success. Jules Bastien-Lepage (1848–1884), La Toussaint (All Souls’ Day) (1878), oil on canvas, 46 x 55 cm, Museum of Fine Arts, Budapest. By Yelkrokoyade, via Wikimedia Commons. 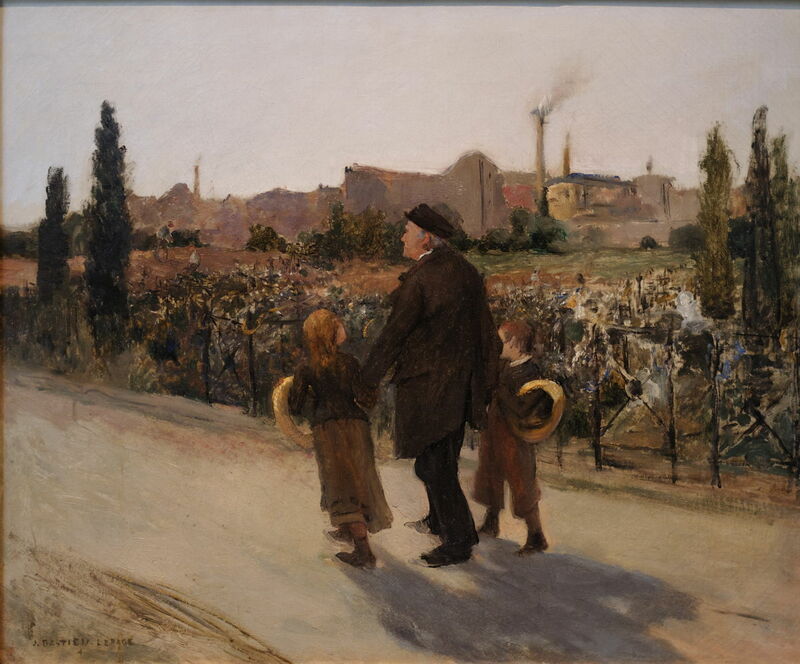 La Toussaint (All Souls’ Day), also completed in 1878, was a more sentimental incursion into the outskirts of the city, as its grandfather is taken for a walk by two of his young grandchildren. They are strolling through land which was, until recently, open fields. It has now been transformed as smoky factories sprawl from the edges of the cities, with a narrow no-man’s-land of allotments and smallholdings as seen here. Then in 1879, Bastien-Lepage revisited history painting with his new formula, in Joan of Arc (1879). Its horizon is so high that little sky is visible beyond the trees. The lower half of the canvas is its intricately-detailed foreground, even down to the clutter of woolworking apparatus (an ingenious link to the thread of fate) and the unkempt garden. The corner of a house sharply divides the painting into halves. On its right is the very real and tangible figure of Joan of Arc, her piercing blue eyes staring into the distance, as she receives her call to arms. On the left are the ethereal figures of Saints Michael, Margaret, and Catherine, which gave rise to a surprisingly hostile reception by critics. Jules Bastien-Lepage (1848–1884), Night on the Lagoon (1880), oil on canvas, 53 x 66 cm, Musée Magnin, Dijon, France. The Athenaeum. Bastien-Lepage was still not completely committed to Naturalism, though. 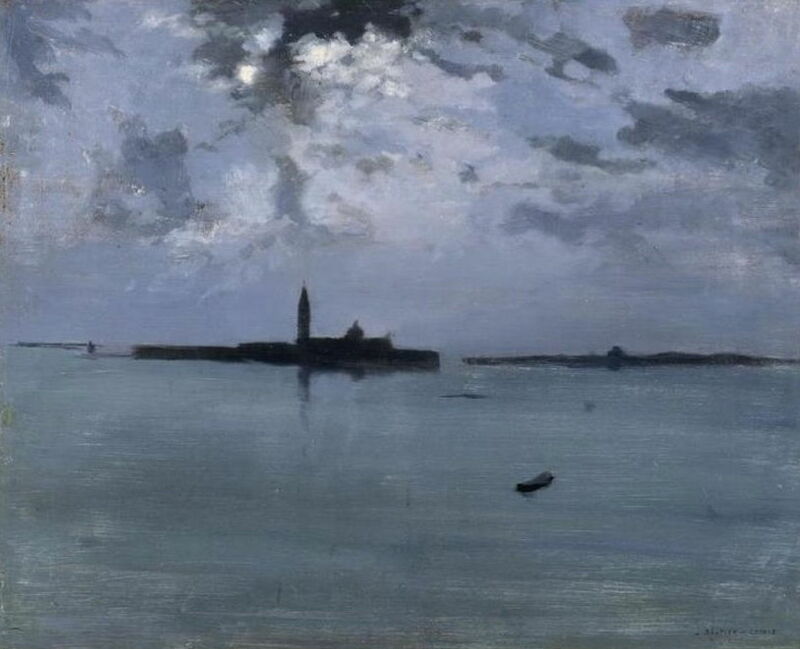 This pure landscape of Night on the Lagoon (1880), presumably painted in Venice, uses none of the devices of the works above. Jules Bastien-Lepage (1848–1884), The Grape Harvest (Harvest Time) (1880), oil, dimensions not known, Van Gogh Museum, Amsterdam, The Netherlands. Wikimedia Commons. 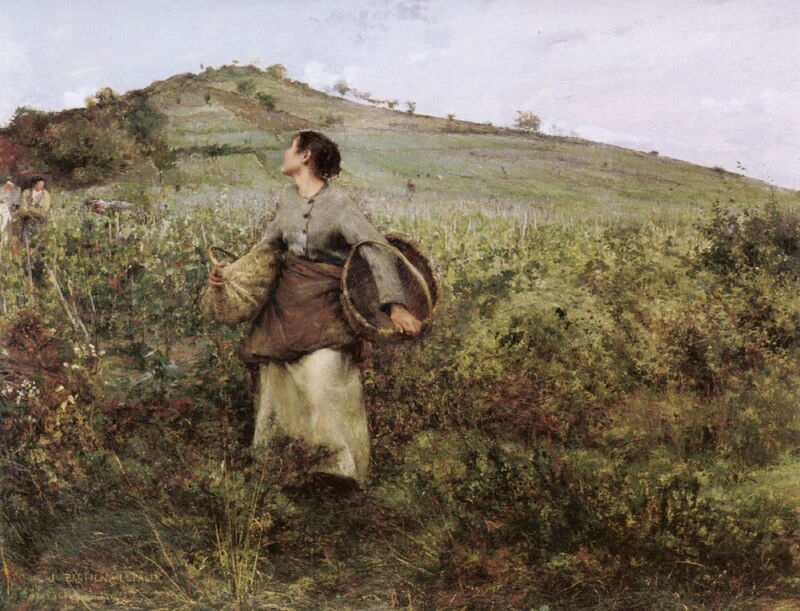 The Grape Harvest, also known as Harvest Time, (1880) varied the compositional formula, and doesn’t produce the same effects. Its horizon draws the eye more strongly, distracting from the foreground detail, and the land rises too soon to achieve the deep panorama of his earlier paintings. Jules Bastien-Lepage (1848–1884), The Beggar (1880-81), oil on canvas, 199 x 181 cm, Ny Carlsberg Glyptotek, Copenhagen, Denmark. The Athenaeum. In his native Damvillers, Bastien-Lepage painted portraits of the poor. 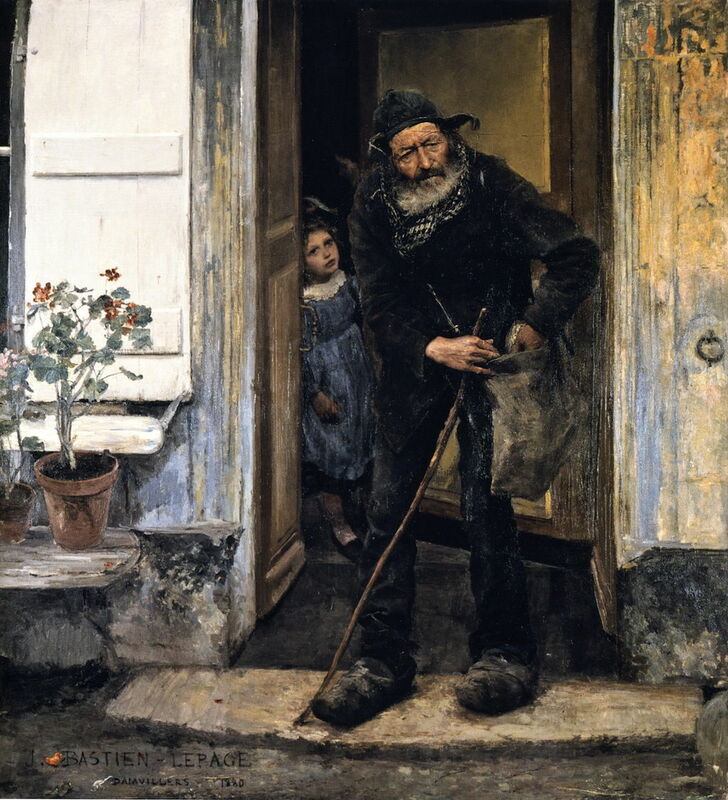 The Beggar (1880) shows an old man who has apparently been knocking on doors in his quest for charity. A well-dressed young girl stares sadly at him as he walks away from her house, and she is closing the door on him. 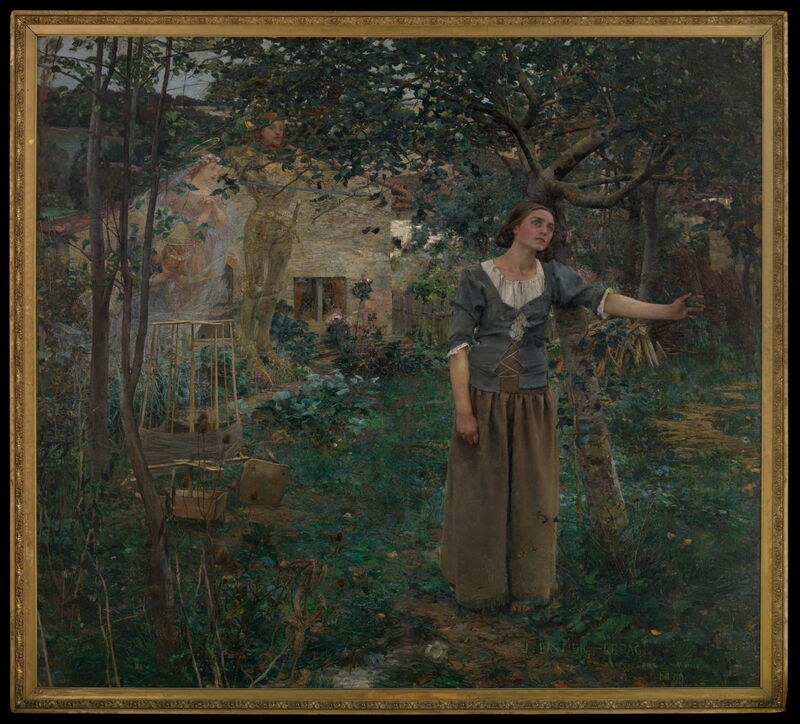 Bastien-Lepage’s The Wood Gatherer (Father Jacques) (1881) is one of the key Naturalist works of art, also one of the most successful examples of his compositional formula. Its high horizon and woodland break the thin slice of sky into fine fragments. The detailed foreground includes both of the figures, who are diametric opposites – an old man bent with his load of firewood, who at any moment could keel over and die, and a young child (probably a girl) who runs free among the wild flowers. The perception of depth is enhanced by the recession of tree forms, although here the space is enclosed rather than open. 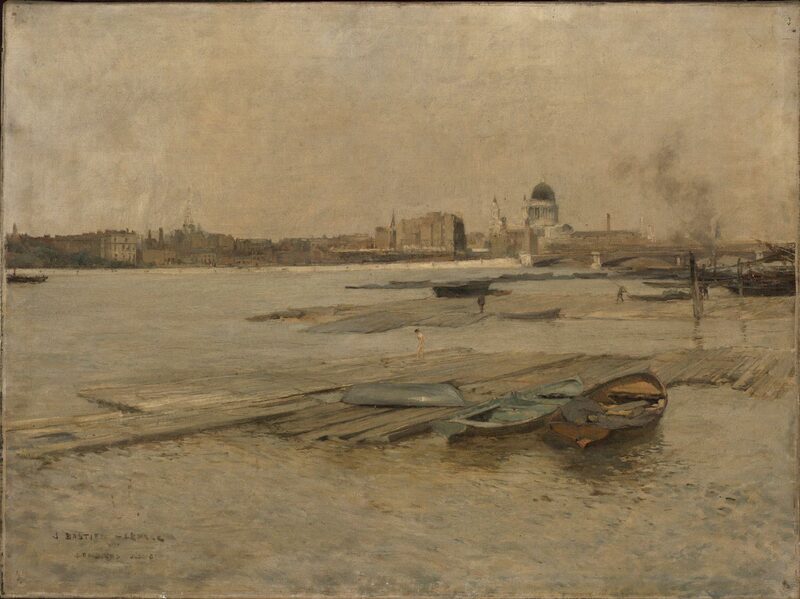 Jules Bastien-Lepage (1848–1884), Blackfriars Bridge and the Thames, London (1881), oil on canvas, 51.1 x 68.9 cm, Philadelphia Museum of Art, Philadelphia, PA. The Athenaeum. From 1880, Bastien-Lepage visited London repeatedly, as if following in the footsteps of Doré. Blackfriars Bridge and the Thames, London (1881) is a fine depiction of this stretch of the River Thames, and has much finer detail in its foreground than in the distance, but does not follow the rest of the formula. 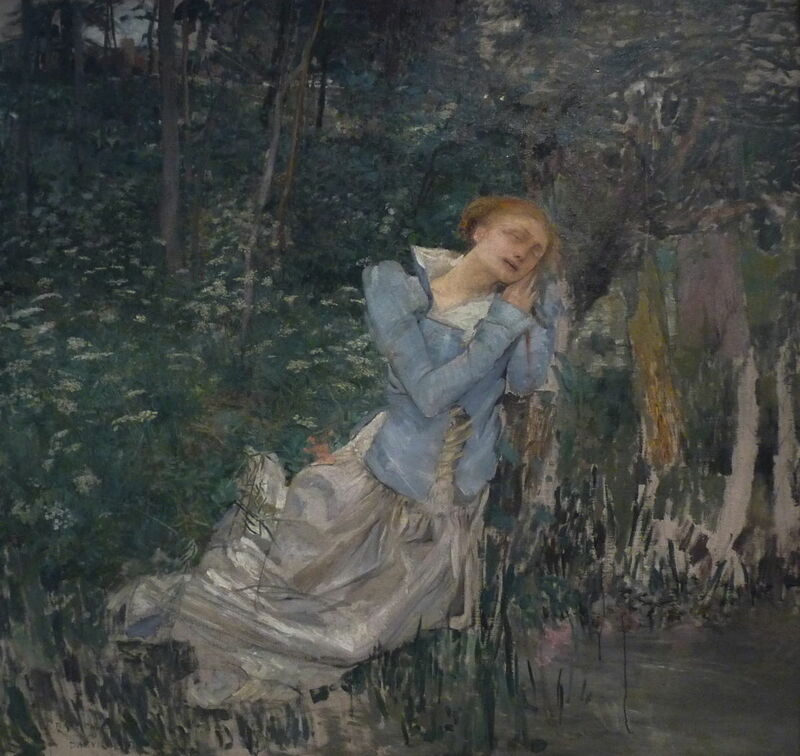 Bastien-Lepage’s formula can be seen in progress in his Ophelia (1881), showing the character from Shakespeare’s play Hamlet as her anguish is about to drive her body down into the water, and drown her. At the time of his death, Bastien-Lepage still had to paint all the foreground detail. This would have covered the lower half of the canvas, and given it a finely-detailed overall appearance. Bastien-Lepage continued his portraiture during this period. This painting of Marie Samary of the Odéon Theatre (c 1881) shows clearly his use of differential detail: the fine white scarf is painted in crisp detail, when compared with the background of papers, etc. Back in Damvillers, Bastien-Lepage returned to the rural poor, now focussing on children, the innocent victims. The formula was applied again, this time with the superimposition of a leafless sapling and the thyrsus-like flower-heads of the teazle. The tree is placed most unusually over the grazing cow, and the whole painting cropped as if a photograph. The following year marks the high-point of Bastien-Lepage’s Naturalism. Posted in General, Life, Painting and tagged Bastien-Lepage, Breton, Courbet, Doré, Millet, naturalism, painting, photography, realism. Bookmark the permalink. So Bokeh was not invented by photographers but just given a new name. I think that this depth of focus effect started in portraiture during the eighteenth century, long before anyone would have seen it as an optical phenomenon. 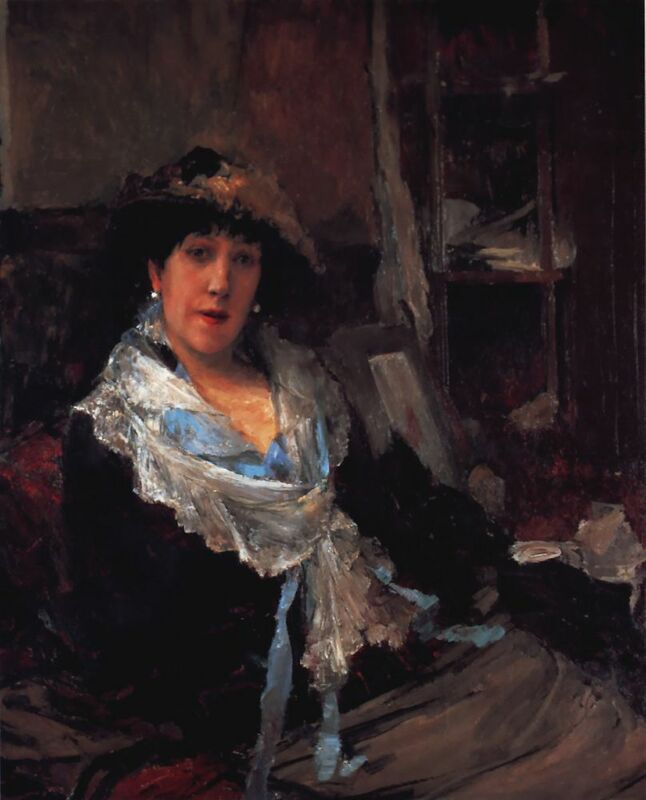 Reynolds and many others tended to paint their subjects in crisp detail, and to be more sketchy and sometimes even blurry-vague in the background. It may even precede that. Bastien-Lepage was particularly skilled at judging just the right amount of crisp foreground detail to make the whole image appear fully detailed, even though much of the background was sketchy and blurred. Indeed, in some of his paintings the foreground detail makes the whole image just ‘pop’. Amazing paintings. The pile of branches on the wood gatherer’s back are astounding. Thanks for pointing out the device of the high horizons, which allows much more detailed subjects taking up the majority of the canvas.